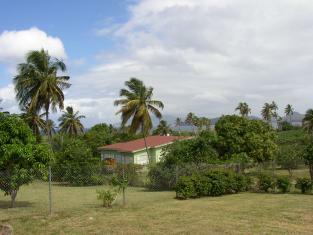 Located in Paradise Estate, a prime quiet residential area of Nevis. 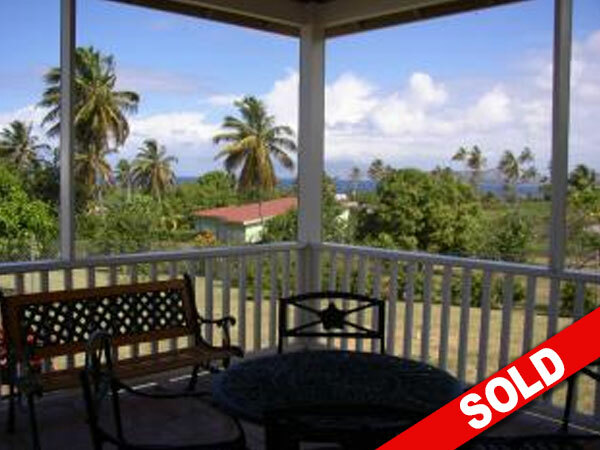 This home is immaculately maintained and has an excellent view of our sister island St. Kitts and the sunset. 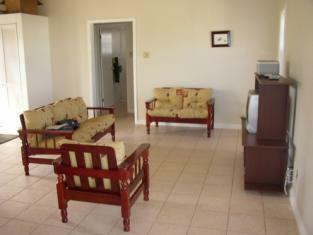 Only 1/2 a mile from the Four Seasons Resort and Pinneys Beach, it is an ideal location. 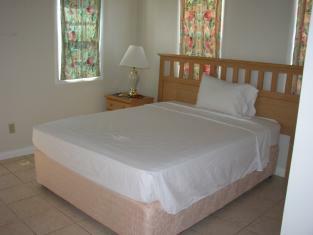 Bedrooms are air conditioned Only 15 minutes from the Airport 10 minutes from Charlestown. 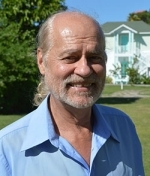 Acreage: 0.3 acres Roofed Interior: 994.00 sq.ft. Roofed Exterior: 182.00 sq.ft. 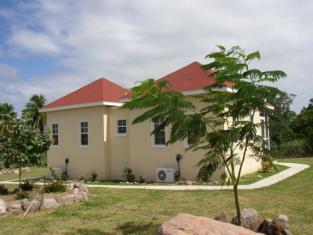 Total Roofed area: 1,176.00 sq.ft. Bedroom #1: 12'6"x 12'6'" Bedroom #2: 12'6"x 12'6" Bedroom #3: 12'6"x 12'6" Great room: 20'x 20' Screened Porch: 13'x 14' Kitchen: well equipped Garden: well kept and maturing Furniture: Fully furnished Amenities: Gas stove; Fridge/Freezer; Stacked full size washer/dryer; Microwave; 17" TV; Multi station Exercise set (weight machine) Utilities: Water, Electric, CableTV, Telephone Rental income: US$ 1,200.00/mo.